Take one bowl, add yogurt, besan, salt, turmeric powder, whisk well . add water,mix well, keep aside. Heat ghee in kadai . add cumin seeds, hing, ginger, garlic, green chilli paste, cinnamon stick , black pepper, cloves, cardamom, curry leaves, boiled kale chane, sauté. Add yogurt and besan mixture, jaggery. Mix well .cook for 10 to 15 minutes. 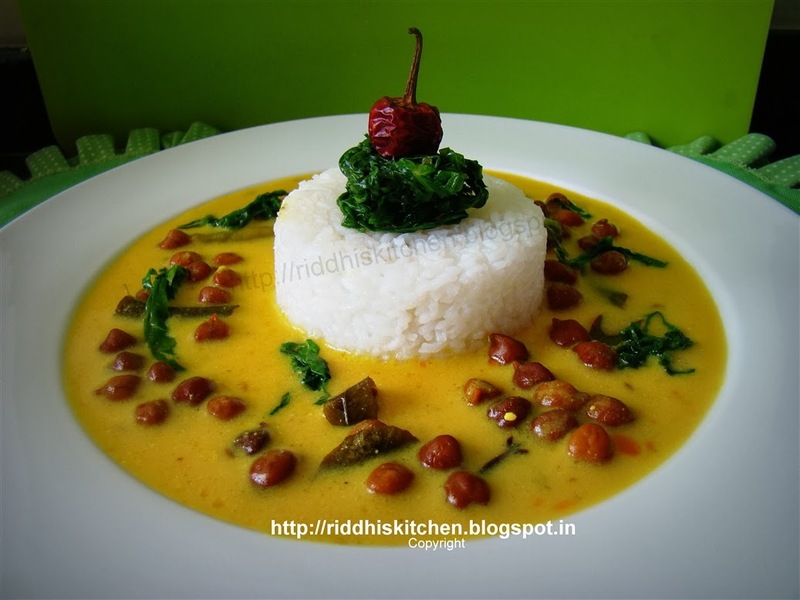 Serve with Rice, garnish with stir fry palak ( spinach) .